Macbeth (full title The Tragedy of Macbeth) is a tragedy written by William Shakespeare, and is considered one of his darkest and most powerful works. Set in Scotland, the play dramatizes the corrosive psychological and political effects produced when evil is chosen as a way to fulfil the ambition for power. The play is believed to have been written between 1599 and 1606, and is most commonly dated 1606. The earliest account of a performance of what was probably Shakespeare's play is the Summer of 1606, when Simon Forman recorded seeing such a play at the Globe Theatre. It was first published in the Folio of 1623, possibly from a prompt book. It was most likely written during the reign of James I, who had been James VI of Scotland before he succeeded to the English throne in 1603. James was a patron of Shakespeare's acting company, and of all the plays Shakespeare wrote during James's reign, Macbeth most clearly reflects the playwright's relationship with the sovereign. 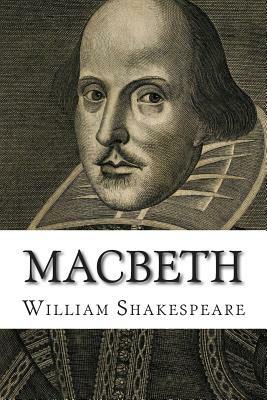 Macbeth is Shakespeare's shortest tragedy, and tells the story of a brave Scottish general named Macbeth who receives a prophecy from a trio of witches that one day he will become King of Scotland. Consumed by ambition and spurred to action by his wife, Macbeth murders King Duncan and takes the throne for himself. He is then wracked with guilt and paranoia, and he soon becomes a tyrannical ruler as he is forced to commit more and more murders to protect himself from enmity and suspicion. The bloodbath and consequent civil war swiftly take Macbeth and Lady Macbeth into the realms of arrogance, madness, and death. Shakespeare's source for the tragedy is the account of King Macbeth of Scotland, Macduff, and Duncan in Holinshed's Chronicles (1587), a history of England, Scotland, and Ireland familiar to Shakespeare and his contemporaries, although the events in the play differ extensively from the history of the real Macbeth. In recent scholarship, the events of the tragedy are usually associated more closely with the execution of Henry Garnett for complicity in the Gunpowder Plot of 1605. In the backstage world of theatre, some believe that the play is cursed, and will not mention its title aloud, referring to it instead as "the Scottish play." Over the course of many centuries, the play has attracted some of the most renowned actors to the roles of Macbeth and Lady Macbeth. It has been adapted to film, television, opera, novels, comic books, and other media. The play opens amidst thunder and lightning, and the Three Witches decide that their next meeting shall be with Macbeth. In the following scene, a wounded sergeant reports to King Duncan of Scotland that his generals-Macbeth, who is the Thane of Glamis, and Banquo-have just defeated the allied forces of Norway and Ireland, who were led by the traitorous Macdonwald and the Thane of Cawdor. Macbeth, the King's kinsman, is praised for his bravery and fighting prowess. In the following scene, Macbeth and Banquo discuss the weather and their victory. As they wander onto a heath, the Three Witches enter and greet them with prophecies. Though Banquo challenges them first, they address Macbeth, hailing him as "Thane of Glamis," "Thane of Cawdor," and that he shall "be King hereafter." Macbeth appears to be stunned to silence. When Banquo asks of his own fortunes, the witches inform him that he will father a line of kings, though he himself will not be one. While the two men wonder at these pronouncements, the witches vanish, and another thane, Ross, arrives and informs Macbeth of his newly bestowed title: Thane of Cawdor, as the previous Thane of Cawdor shall be put to death for his traitorous activities. The first prophecy is thus fulfilled, and Macbeth immediately begins to harbour ambitions of becoming king. King Duncan welcomes and praises Macbeth and Banquo, and declares that he will spend the night at Macbeth's castle at Inverness; he also names his son Malcolm as his heir. William Shakespeare (26 April 1564 (baptised) - 23 April 1616) was an English poet, playwright and actor, widely regarded as the greatest writer in the English language and the world's pre-eminent dramatist. He is often called England's national poet and the "Bard of Avon." His extant works, including some collaborations, consist of about 38 plays, 154 sonnets, two long narrative poems, and a few other verses, the authorship of some of which is uncertain. His plays have been translated into every major living language and are performed more often than those of any other playwright. Shakespeare was born and brought up in Stratford-upon-Avon. At the age of 18, he married Anne Hathaway, with whom he had three children: Susanna, and twins Hamnet and Judith. Between 1585 and 1592, he began a successful career in London as an actor, writer, and part-owner of a playing company called the Lord Chamberlain's Men, later known as the King's Men. He appears to have retired to Stratford around 1613 at age 49, where he died three years later. Few records of Shakespeare's private life survive, and there has been considerable speculation about such matters as his physical appearance, sexuality, religious beliefs, and whether the works attributed to him were written by others. Shakespeare produced most of his known work between 1589 and 1613. His early plays were mainly comedies and histories and these works remain regarded as some the best work produced in these genres even today. He then wrote mainly tragedies until about 1608, including Hamlet, King Lear, Othello, and Macbeth, considered some of the finest works in the English language. In his last phase, he wrote tragicomedies, also known as romances, and collaborated with other playwrights. Many of his plays were published in editions of varying quality and accuracy during his lifetime. In 1623, John Heminges and Henry Condell, two friends and fellow actors of Shakespeare, published the First Folio, a collected edition of his dramatic works that included all but two of the plays now recognised as Shakespeare's. It was prefaced with a poem by Ben Jonson, in which Shakespeare is hailed, presciently, as "not of an age, but for all time." Shakespeare was a respected poet and playwright in his own day, but his reputation did not rise to its present heights until the 19th century.